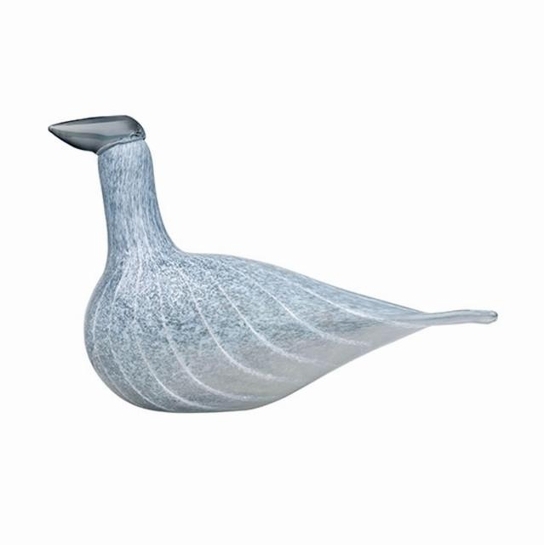 More about iittala Toikka Arctic Baby Loon Limited to 200 and a U.S. exclusive to GlassBirds.com and its partner sites, the Arctic Baby Loon is a beautifully rare keepsake. Swirls of heather grey, snowy white and cloudy blue encircle the bird's body. The mouth blown glass is transparent when the light shines through it.